In China, breakfast at the local food stall can be paid for with a smartphone: scan the nearby QR code, and the money gets automatically deducted from the account linked to the device. Chinese consumers have embraced mobile pay on a scale far exceeding that of other countries. In a 2016 survey conducted by Nielsen with consumers in 26 countries, 86 percent of Chinese respondents said they made purchases with digital payments in the past six months, compared to an overall average of 43 percent among all countries. Mobile payments in China totaled US$5.5 trillion in 2016, according to iResearch, a Chinese market research and consulting firm. China’s biggest internet companies are the major providers: Alibaba’s Alipay, Tencent’s QQ Wallet, and WeChat’s WeChat Pay. From the big cities to the countryside, consumers can order takeout, pay cab fare, and buy groceries with a quick swipe. Behind the incredible convenience, though, lie privacy concerns. On August 4, China’s central bank announced a mandate for all payment companies to operate through a centralized clearing house, requiring all payments to be made through it by June of next year, reported the Financial Times. The news forebodes that the authorities will soon capture transaction data on these platforms, gaining access to large swathes of information on the public. 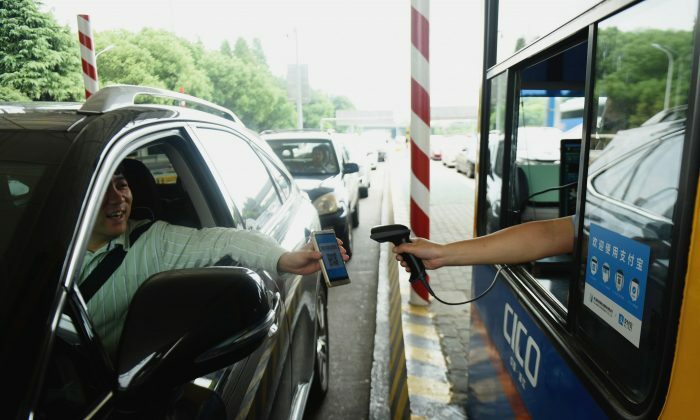 Cheng-Chung Lo, professor of financial and economic law at the Southern Taiwan University of Science and Technology, warned that given China’s record of authoritarian control, that mobile payment data could become another form of the regime’s surveillance. 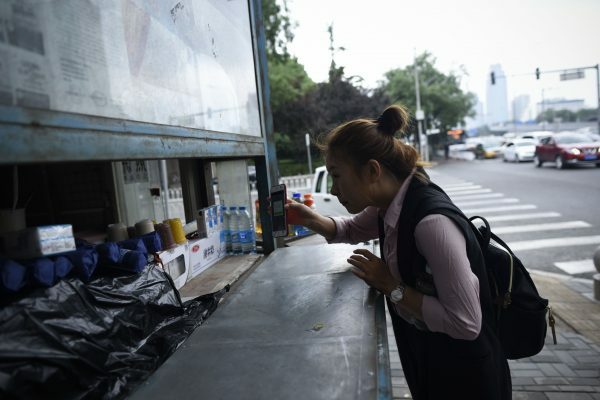 “Say your consumption habits are not to the regime’s liking,” Lo said. “The authorities can intervene right away.” Lo gave the example of purchasing books that delve into topics the authorities may deem sensitive or unsavory. Lo also explained why the Chinese have so readily adopted mobile pay. Many find mobile payment an attractive choice because of the high prevalence of counterfeit bills, coupled with a general lack of trust in society. With mobile pay, consumers pay up after physically confirming the desired object or service, guaranteeing that they did not get cheated, Lo said.